Tionne "T-Boz" Watkins and Rozanda "Chilli" Thomas – took the stage by themselves, performing for the first time in six years. R&B icons TLC reunited for the group's first solo performance in six years on Saturday night — thanks to Justin Timberlake. 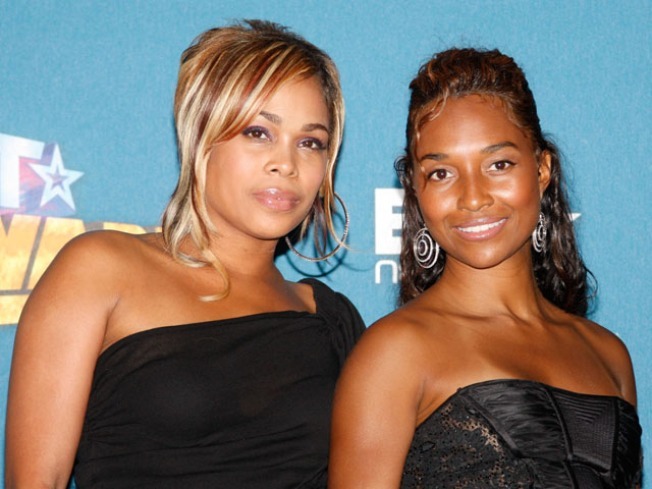 According to MTV News, the group – Tionne "T-Boz" Watkins and Rozanda "Chilli" Thomas – took the stage by themselves, performing for the first time in six years. The group semi-retired in 2003 following the death of third member Lisa "Left Eye" Lopes in a 2002 car accident. VIEW THE PHOTOS: Taylor Swift: From 'Fifteen' To Country Queen! On Saturday, the duo performed hits such as "Waterfalls," "No Scrubs," and "Ain't 2 Proud 2 Beg" at Justin's second annual Justin Timberlake & Friends Concert at the Mandalay Bay Hotel & Casino in Las Vegas, benefiting Shriners Hospitals For Children. However, the act had been on stage recently — T-Boz and Chilli made a concert appearance in 2008 at the BET Awards as part of a collaboration with Alicia Keys, who made a solo appearance at Justin's event as well on Saturday. VIEW THE PHOTOS: Justin Timberlake: From The Stage To The Red Carpet! Other acts at the charity event included Taylor Swift, Timbaland and Snoop Dogg, as well as singers Ciara and Jay Sean. Justin himself closed the show, performing both his own hits and covering portions of Nirvana's "Smells Like Teen Spirit," Kings of Leon's "Use Somebody" and Coldplay's "Viva La Vida." The star, who has kept quiet on plans for a follow-up to 2006's "Futuresex/Lovesounds," also debuted a new, untitled song with Timbaland that asked "What's your name? / What's your number?"